Puli, the shepherds’ best friend, is often treated almost like a human because of its logical manner. 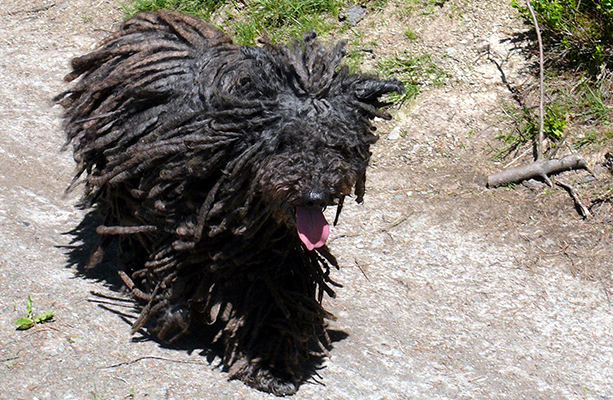 Hungarians claim the Puli are Hungarian, but similar dogs are found in Siberia, Tibet, and Poland. Likely, Pulis arrived with the migrating Magyar tribes at the end of the 9th century and have since become an essential part of rural life. 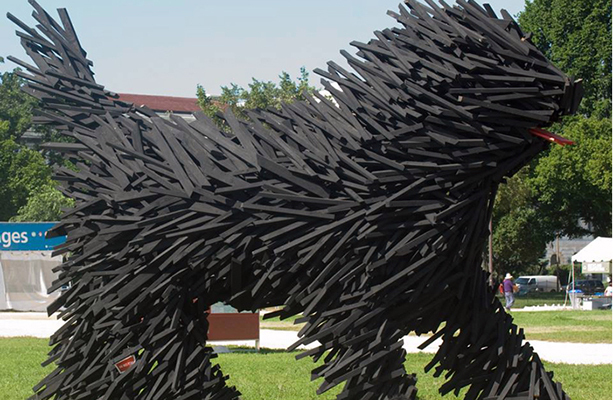 Black was the original color of the Puli. Breeders believed a black, coat was particularly important to keep them warm in winter and provide shade for them during the summer. Additionally, breeders preferred black coats because the color could be more easily spotted when the dogs were among sheep. By the 19th century, the traditional style of herding—roaming with a huge flock of animals over a large area—had stopped and flocks were cared for within a fenced area. Due to the dramatic changes in agriculture, the Puli’s roles changed, and their owners had less need for the breed’s abilities. Puli eventually became farm dogs that guarded households. 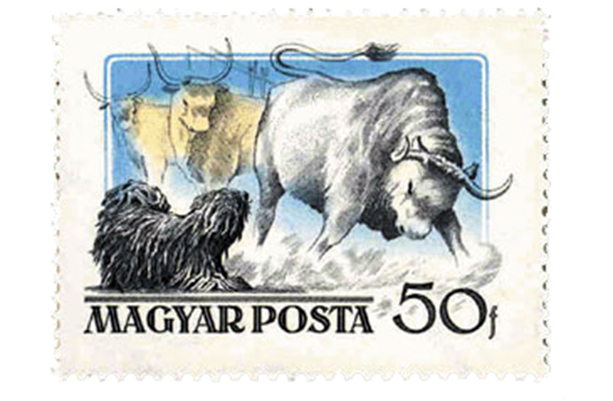 Contrary to its unique Hungarian heritage, the breed was first mentioned in a book by the German hunting writer and forest inspector, Carl von Heppe, in 1751. Finally, in 1915 the breed owners established its first standard; favorable physical and personal traits that are suitable to keep within the breed. The pedigree was finally issued in 1924. Since the Puli is the poor peasant’s dog, there are not many visual artifacts or written references to them, except in folk songs and poetry. 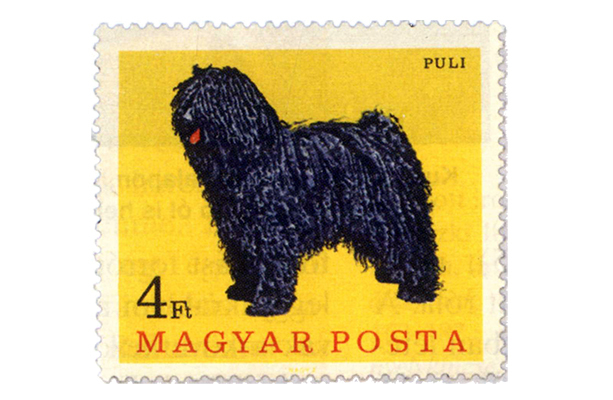 Hungary’s native herding dog, the Puli, has an unclear origin. The word "Puli" was recorded for the first time in 1765, and some etymologists believe the name has a Sumerian origin and means "herding while attack." 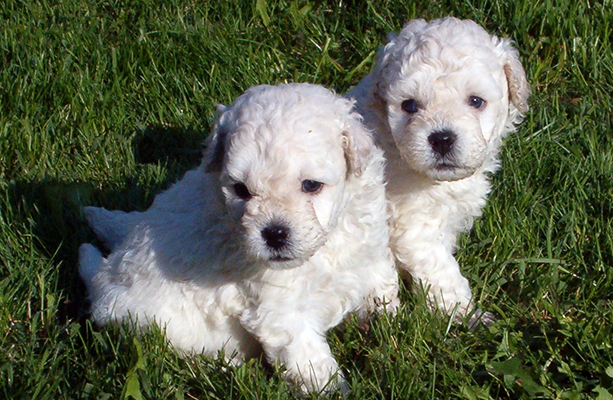 Others believe the name originates from the German "Pudel," or poodle. 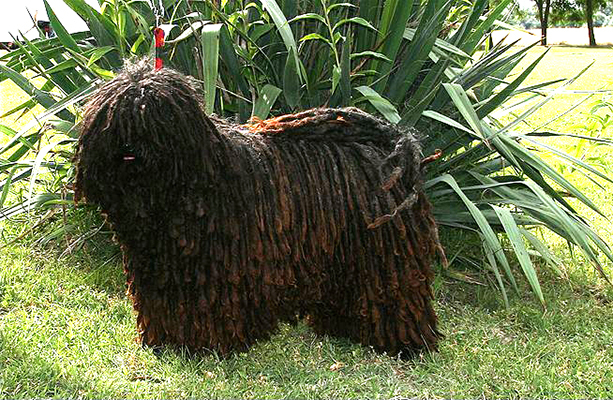 The Puli is a small-to-medium sized dog that is known for its special tight-corded, dreadlock-resembling coat. The breed is mostly black, but also white, off-white and gray. It is 15–16 in (40–45 cm) tall and weighs 23–25 pounds (10–12 kg). Though it has long ears, usually only its tongue is distinguishable from the rest of the body. Contrary to popular belief, the Puli can see extremely well. Pulis are hard working, noisy, sensitive, and down-to-earth. Their intelligence and agility enabled them to survive through millennia while herding animals. They now earn titles at agility competitions. They have a lively character and are instantly likable. Early training for this breed is a must or their bad habits will stay. Their moping demonstrates their sensitive nature after a harsh word from their master. Like every other working dog, these high-energy, intelligent dogs need space, exercise and something to do. If they don’t get enough activity, they become mischievous and create trouble.